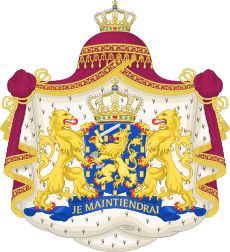 The House of Orange-Nassau (in Dutch: Huis van Oranje-Nassau, pronounced [ˈɦœy̯s fɑn oːˈrɑɲə ˈnɑsʌu̯]), a branch of the European House of Nassau, has played a central role in the politics and government of the Netherlands — and at times in Europe — especially since William I of Orange (also known as "William the Silent" and "Father of the Fatherland") organized the Dutch revolt against Spanish rule, which after the Eighty Years' War led to an independent Dutch state. 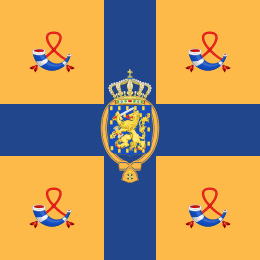 Several members of the house served during this war and after as governor or stadtholder (Dutch stadhouder) during the Dutch Republic. 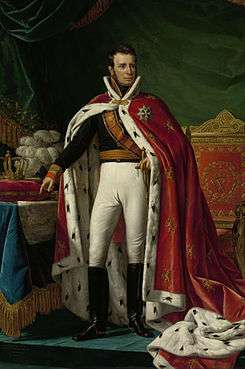 However, in 1815, after a long period as a republic, the Netherlands became a monarchy under the House of Orange-Nassau. The Castle of Nassau was founded around 1100 by Count Dudo-Henry of Laurenburg (German: Dudo-Heinrich von Laurenburg), the founder of the House of Nassau. In 1120, Dudo-Henry's sons and successors, Counts Robert I (German: Ruprecht; also translated Rupert) and Arnold I of Laurenburg, established themselves at Nassau Castle with its tower. They renovated and extended the castle complex in 1124 (see Nassau Castle). The first man to be called the count of Nassau was Robert I of Nassau (Ruprecht in German), who lived in the first half of the 13th century (see family tree below). 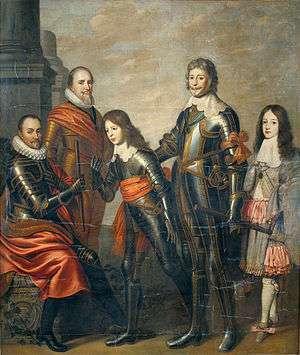 The Nassau family married into the family of the neighboring Counts of Arnstein (now Kloster Arnstein). 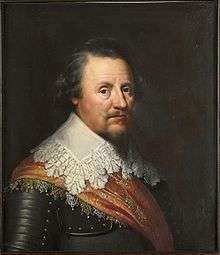 His sons Walram and Otto split the Nassau possessions. 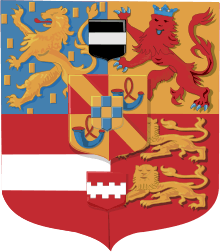 The descendants of Walram became known as the Walram Line, which became Dukes of Nassau, and in 1890, the Grand Dukes of Luxembourg. This line also included Adolph of Nassau, who was elected King of the Romans in 1292. 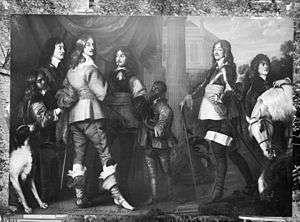 The descendants of Otto became known as the Ottonian Line, which inherited parts of Nassau County, and properties in France and the Netherlands. A noble's power was often based on his ownership of vast tracts of land and lucrative offices. It also helped that much of the lands that the House of Orange and Nassau controlled sat under one of the commercial and mercantile centers of the world (see below under Lands and Titles. 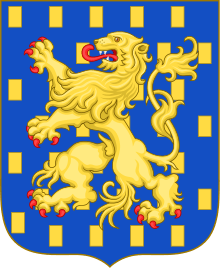 The importance of the Nassaus grew throughout the 15th and 16th centuries as they became councilors, generals and stadholders of the Habsburgs (see armorial of the great nobles of the Burgundian Netherlands and List of Knights of the Golden Fleece). 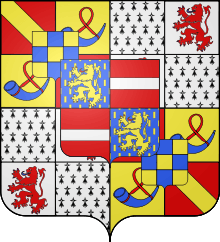 Engelbert II of Nassau served Charles the Bold and Maximilian I, Holy Roman Emperor, who had married Charles's daughter Mary of Burgundy. In 1496 he was appointed stadtholder of Flanders and by 1498 he had been named President of the Grand Conseil. In 1501, Maximilian named him Lieutenant-General of the Seventeen Provinces of the Netherlands. From that point forward (until his death in 1504), Engelbert was the principal representative of the Habsburg Empire to the region. 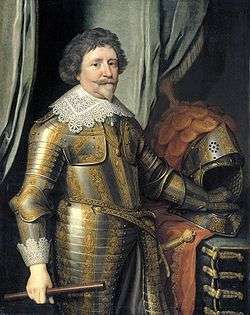 Hendrik III of Nassau-Breda was appointed stadtholder of Holland and Zeeland by Charles of Ghent in the beginning of the 16th century. 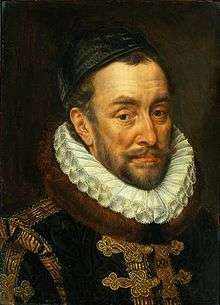 Hendrik was succeeded by his son René of Châlon-Orange in 1538, who had inherited the principality of Orange and the title Prince of Orange from his maternal uncle Philibert of Chalon. René died prematurely on the battlefield in 1544. 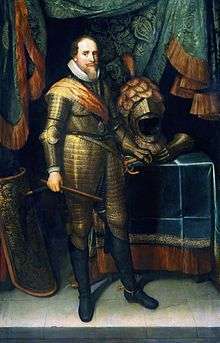 His possessions, including the principality of Orange and the title Prince of Orange, passed by his will as sovereign prince to his paternal cousin, William I of Orange. From then on, the family members called themselves "Orange-Nassau. ":8 :37:vol3,pp3-4:37,107,139 See also Adolf of Germany. 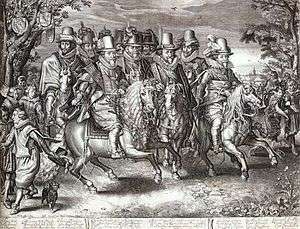 "The Nassau Cavalcade", members of the house of Orange and Nassau on parade in 1621 from an engraving by Willem Delff. From left to right in the first row: Prince Maurice, Prince Philip William and Prince Frederick Henry. 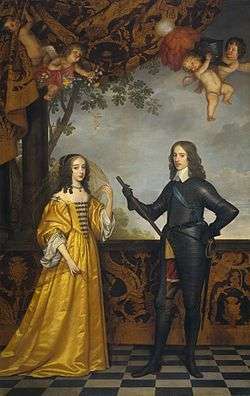 Willem II (1626-50), prince of Orange, and his wife Princess Maria Stuart of England (1631-60). 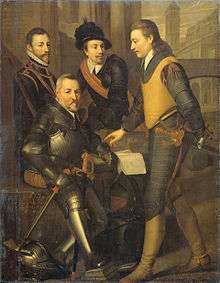 The collateral house of Nassau: the four brothers of Willem I, prince of Orange: Jan (1536-1606), sitting, Hendrik (1550-74), Adolf (1540-68) and Lodewijk (1538-74), counts of Nassau. 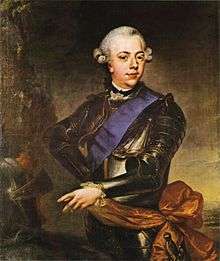 After 1795, the House of Orange-Nassau faced a difficult period, surviving in exile at other European courts, especially those of Prussia and England. 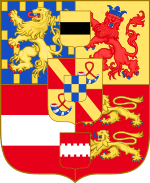 Following the recognition of the Batavian Republic by the 1801 Oranienstein Letters, William V's son William VI renounced the stadtholdership in 1802. 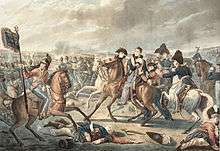 In return, he received a few territories from First Consul Napoleon Bonaparte of the French Republic (Treaty of Amiens), which was established as the Principality of Nassau-Orange-Fulda. 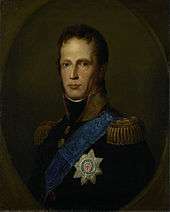 William V died in 1806. 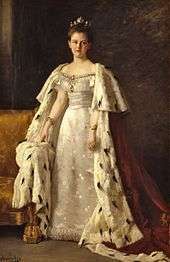 Wilhelmina was queen of the Netherlands for 58 years, from 1890 to 1948. Because she was only 10 years old in 1890, her mother, Emma of Waldeck and Pyrmont, was the regent until Wilhelmina's 18th birthday in 1898. 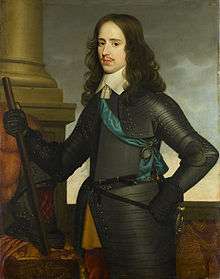 Since females were not allowed to hold power in Luxembourg, due to Salic law, Luxembourg passed to the House of Nassau-Weilburg, a collateral line to the House of Orange-Nassau. For a time, it appeared that the Dutch royal family would die with Wilhelmina. 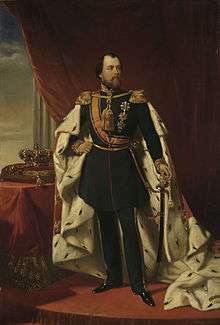 Her half-brother, Prince Alexander, had died in 1884, and no royal babies were born from then until Wilhemina gave birth to her only child, Juliana, in 1909. The Dutch royal house remained quite small until the latter 1930s and the early 1940s, during which Juliana gave birth to four daughters. Although the House of Orange died out in its male line with the death of Queen Wilhelmina, the name "Orange" continues to be used by the Dutch royalty :vol5,507–508 and as evidenced in many patriotic songs, such as "Oranje boven". On April 30, 1980, Queen Juliana abdicated in favor of her daughter, Beatrix. 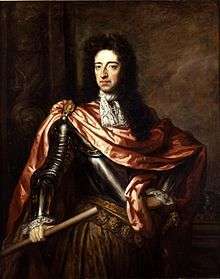 In the early years of the twenty-first century, the Dutch monarchy remained popular with a large part of the population. Beatrix's eldest son, Willem-Alexander, was born on April 27, 1967; the first immediate male heir to the Dutch throne since the death of his great-grandfather, Prince Alexander, in 1884. Willem-Alexander married Máxima Zorreguieta, an Argentine banker, in 2002; the first commoner to ever marry an heir apparent to the Dutch throne. They are parents of three daughters: Catharina-Amalia, Alexia, and Ariane. After a long struggle with neurological illness, Queen Juliana died on March 20, 2004, and her husband, Prince Bernhard, died on December 1 of that same year. The Royal Family's biggest wealth advantage, is that they don't need to live off their wealth for their day-to-day needs and job functions. As monarch, the King or Queen has use of, but not ownership of, the Huis ten Bosch as a residence and Noordeinde Palace as a work palace. In addition the Royal Palace of Amsterdam is also at the disposal of the monarch (although it is only used for state visits and is open to the public when not in use for that purpose), as is Soestdijk Palace (which is open to the public and not in official use at all at this time). 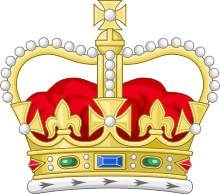 The crown jewels, comprising the crown, orb and sceptre, Sword of State, royal banner, and ermine mantle have been placed in the Crown Property Trust. The trust also holds the items used on ceremonial occasions, such as the carriages, table silver, and dinner services. Placing these goods in the hands of a trust ensures that they will remain at the disposal of the monarch in perpetuity. Members of the Royal House also receive stipends in order to carry out their duties which are listed here. The Royal House is also exempt from income, inheritance, and personal tax. The House of Orange has long had the reputation of being one of the wealthier royal houses in the world, largely due to their business investments. They are rumored to have a large stake in Royal Dutch Shell. Other significant shares are supposed to be in the Philips Electronics company (known in the Netherlands as Royal Philips), KLM-Royal Dutch Airlines, and the Holland-America Line ( cruise ships)- How significant is a matter of conjecture, as their private finances, unlike their public stipends as monarch, are not open to scrutiny. The holdings are spread among real estate (include Castle Drakensteyn in Holland and a villa in Tuscany), investments, and commercial companies. It should be noted that given Royal Dutch Shell's 2012 earnings, revenue, and equity, even a few percent stake in this company alone would exceed the estimates of earnings below. Forbes magazine is the most consistent in estimating the net worth of heads of state. 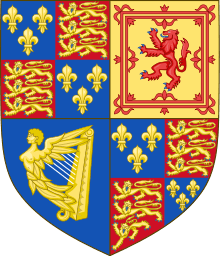 As late as 2001, the fortune of the Royal Family was estimated by various sources (Forbes magazine) at $3.2 billion. Most of the wealth was reported to come from the family's longstanding stake in the Royal Dutch/Shell Group. At one time, the Oranges reportedly owned as much as 25% of the oil company; their stake is in 2001 was estimated at a minimum of 2%, worth $2.7 billion on the May 21 cutoff date for the Billionaires issue. The family also was estimated to have a 1% stake in financial services firm ABN-AMRO. The fortune seems to have been hit by declines in real estate and equities after 2008. They were also rumored to have lost up to $100 million when Bernard Madoff's Ponzi scheme collapsed, though the royal house denies the allegations. In 2009, Forbes estimated her wealth at US$300 million. This could also have been due to splitting the fortune between Queen Beatrix and her 3 sisters, as there is no right of the eldest to inherit the whole property. A surge in export revenue, recovery in real estate and strong stock market have helped steady royal family’s fortunes, but uncertainty over the new government and future austerity measures needed to bring budget deficits in line may dampen future prospects. In July 2010, Forbes magazine estimated her net worth at $200 million  This estimate was repeated in April 2011. In Robert A. Heinlein's 1956 science fiction novel Double Star, the House of Orange reigns over - but does not rule over - an empire of humanity that spans the entire Solar System. 1 2 3 Israel, Jonathan I. (1995). The Dutch Republic: Its Rise, Greatness and Fall, 1477-1806. Oxford University Press. ISBN 0-19-873072-1. ISBN 0-19-820734-4 paperback. 1 2 3 4 Geyl, Pieter (2002). 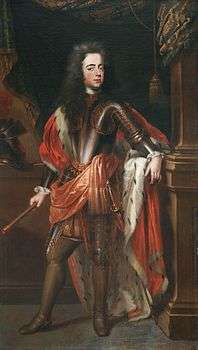 Orange and Stuart 1641-1672. Arnold Pomerans (trans.) (reprint ed.). Phoenix. 1 2 3 Rowen, Herbert H. (1978). John de Witt, grand pensionary of Holland, 1625-1672. Princeton University Press. 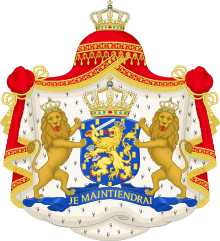 1 2 3 4 5 6 7 8 9 10 11 12 13 "The Official Website of the Dutch Royal House in English". Retrieved 26 April 2011. 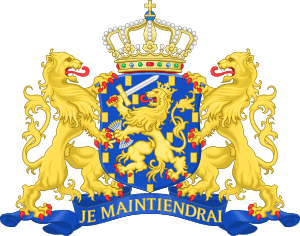 ↑ "Dutch Royal House - Movable Property". Archived from the original on 29 September 2007. Retrieved 2008-06-29. ↑ Marek, Miroslav. "Nassau index page". genealogy.euweb.cz. Retrieved 5 September 2013. 1 2 3 4 5 6 7 8 9 Rietstap, Johannes Baptist (2003). Armorial general. vol.2. Genealogical Publishing Co. p. 297. ISBN 0-8063-4811-9. Retrieved 26 May 2015. 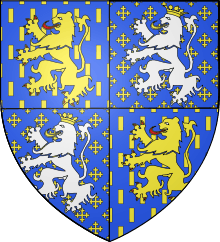 Ecartelé : au 1. d'azur, semé de billettes d'or au lion d'or, armé et lampassé de gueules, brochant sur le tout (Maison de Nassau) ; II, d'or, au léopard lionné de gueules, arméc ouronné et lampassé d'azur (Katzenelnbogen) ; III, de gueules à la fasce d'argent (Vianden) ; IV, de gueules à deux lions passant l'un sur l'autre ; sur-le-tout écartelé, aux I et IV de gueules, à la bande d'or (Châlon), et aux II et III d'or, au cor de chasse d'azur, virolé et lié de gueules (Orange) ; sur-le-tout-du-tout de cinq points d'or équipolés à quatre d'azur (Genève) ; un écusson de sable à la fasce d'argent brochant en chef (Marquis de Flessingue et Veere); un écusson de gueules à la fasce bretessée et contre-bretessée d'argent brochant en pointe (Buren). Cimier: 1er un demi-vol cont. coupé d'or sur gueles (Chalons), 2er une ramure de cerf d'or (Orange) 3er un demi-vol de sa, ch. d'un disque de armes de Dietz. 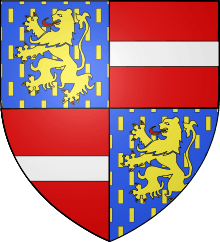 Supports: deux lions d'or, arm. et lamp. de gueles. Devise: JE MAINTIENDRAI. ↑ Anonymous. "Wapenbord van Prins Maurits met het devies van de Engelse orde van de Kouseband". Exhibit of a painted woodcut of Maurice's Arms encircled by the Order of the Garter in the Rijksmuseum, Amsterdam. Rijksmuseum, Amsterdam. Retrieved 26 April 2011. ↑ Post, Pieter (1651). "Coat of Arms as depicted in "Begraeffenisse van syne hoogheyt Frederick Hendrick"". engraving, in the collection of. Rijksmuseum, Amsterdam. Retrieved 1 June 2011.